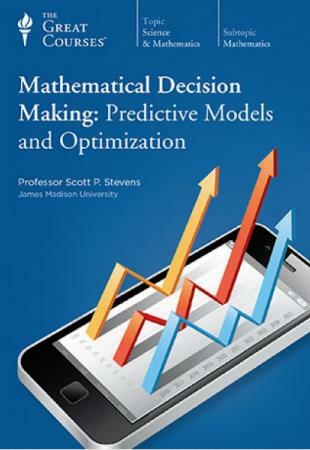 Mathematical Decision Making Predictive Models and Optimization | Free eBooks Download - EBOOKEE! Pricing: Costco rose to become one of the top-ranked retailers in the world by combining membership fees with the economy of selling in bulk. A mathematical technique-called genetic algorithms-shows the advantages of this strategy as well as the optimum prices to charge. Scheduling: Using nonlinear programming, many airlines employ scheduling software that can find the most favorable solution to unexpected disruptions-from weather to mechanical problems to crew availability-saving millions of dollars in operating costs. You'll find that the challenge of analytics is not the math, which is often surprisingly easy, but the wide choice of procedures you have at your fingertips. The art is picking the most effective one to apply to your problem, and this is what Professor Stevens walks you through in fascinating detail. All that's needed is a willingness to use simple equations. Moreover, you'll see how modern spreadsheets take the drudgery out of finding solutions, and they make setting up and visualizing problems simple and straightforward. 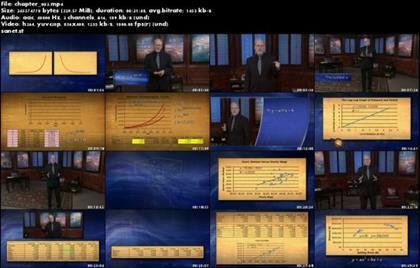 Mathematical Decision Making is vividly illustrated with graphs, charts, diagrams, and computer animations, which greatly aid understanding the material. In addition, Professor Stevens demonstrates the importance of cultivating your visual intuition. This is particularly helpful when you move from linear programming to nonlinear programming, where effects of synergy and interaction can have strong impact on the bottom line. He shows how you can visualize this new world as a landscape, and then use your natural intuition to decide how best to approach the problem. As an illustration, you see how the fight between Blu-Ray and HD DVD for dominance in the high-definition video market can be pictured as a hyperbolic paraboloid-a saddle-shaped figure-with all of the possible outcomes of the competition mapped onto its surface. Keeping clients happy: NBC schedulers once had to match advertisers to television time slots by hand, juggling a bewildering number of competing demands. You'll learn how computer algorithms and the concept of "hard" and "soft" constraints revolutionized their job. Finding a missing plane: No one knew why Air France flight 447 crashed into the ocean in 2009-until Bayesian analysis led searchers to the wreck site and the black box. Bayes's theorem tells how to compute new probabilities as new information becomes available. Evaluating efficiency: Non-profit organizations and government programs are notoriously hard to evaluate for efficiency. Using hospitals as a test case, you'll discover how data envelopment analysis shows which facilities are performing effectively, as well as how to improve the ones that aren't. Above all, he loves mathematics and the wonders it can perform. "Math is an absolutely beautiful thing," he marvels. "I'm at my happiest when I can get someone else to see just a piece of that. It's lovely, structured, consistent, reliable, surprising, enticing, exotic. It's a great world!" With Mathematical Decision Making, see for yourself how mathematics can make the everyday world we all inhabit a more comprehensible and much better place. No comments for "Mathematical Decision Making Predictive Models and Optimization".